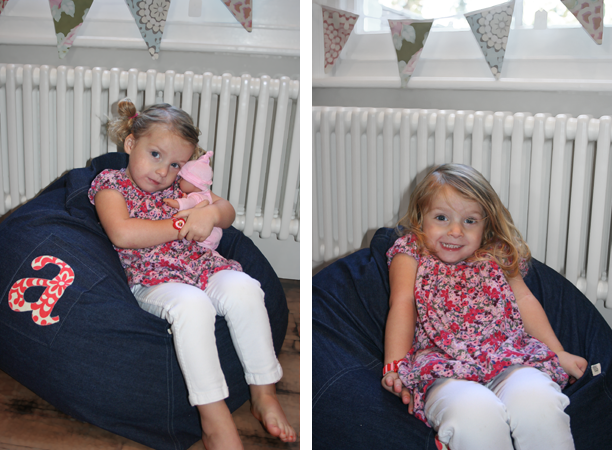 I had lots of fun a couple of weeks ago taking photos of my friend’s beautiful little girl sitting on a gilhoolie beanbag and pouffe (with some bunting in the background). Thank you so much Sandi, I may ask again if that’s okay! I know the model looks gorgeous but I’m also hoping these photos show my products well enough to start selling on-line now. 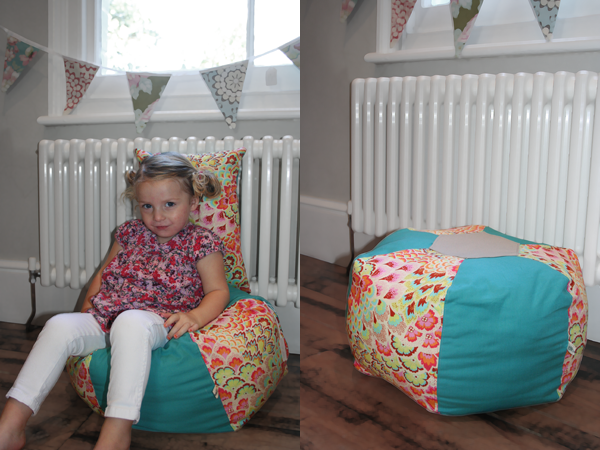 I must admit I did get a bit carried away and didn’t always manage to get the whole of the beanbag in shot, oops! Ah well, I still have lots to learn. Thank you also to James for playing around with the photos in Photoshop; I think they are very professional and just the look and feel I was going for. It’s taken a bit longer than I expected to set up my folksy shop but I think the photos are incredibly important. I’m going to take some more of my lampshades this week too as I’m not happy with the ones I already have. When you work for yourself it’s easy to not set deadlines and just go with the flow but I promise these will be on folksy by the end of the week, cross my heart and watch this space for details!